Crochet a hanging plant holder for your home by using an easy pattern designed for beginners. This pattern safely holds a six-inch pot and should not take more than one or two hours to complete. The first step in crocheting your hanging plant holder is learning the types of stitches. 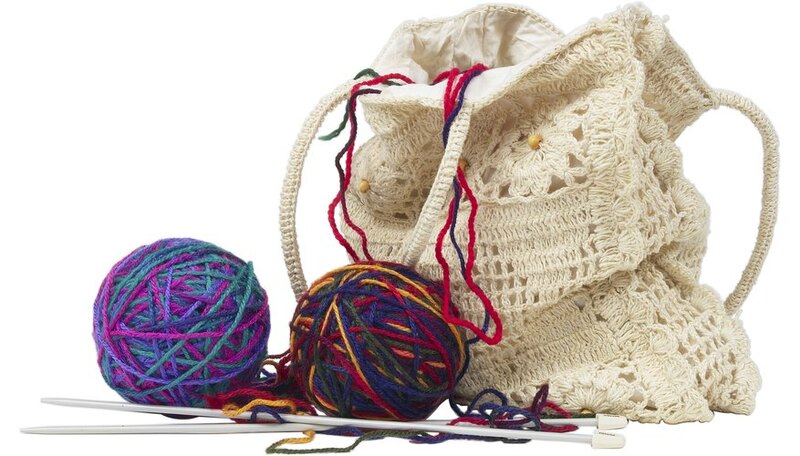 There are many different types of crochet stitches, each one serving a different purpose. Familiarize yourself with chain stitches, double crochet stitches and single crochet stitches before beginning this project. Use your hook to make four chain stitches then 13 double crochet stitches in the 4th chain from the hook. Join with a slipstitch at the top of the 4th chain stitch. There are 14 double crochets at the end of this round. Make three chain stitches but do not turn. Double crochet in each stitch and in each space between the stitches. There should be 28 double crochets at the end of this round. Make three more chain stitches and do not turn. Double crochet in each existing double crochet and join with a slipstitch. There should be 28 double crochet at the end of this round. Form one chain stitch and do not turn. Single crochet in every space between all double crochets and join with a slipstitch. To make handles, join yarn in any single crochet and make 45 chain stitches. Repeat three or four times depending on the number of handles you want. Make one final chain stitch and revolve single crochet around edge. Join with a slipstitch. Fasten off your plant hanger by attaching handles to a key ring or tying in several square knots 12 to 18 inches from the plant holder. Take a crochet class to master the technique before starting out on your own. Be sure the number of stitches is the same for each handle otherwise the plant will not hang level.